The Y.A. Bookworm Blogger: Cover Reveal: Clockwork Princess !!! Cover Reveal: Clockwork Princess !!! 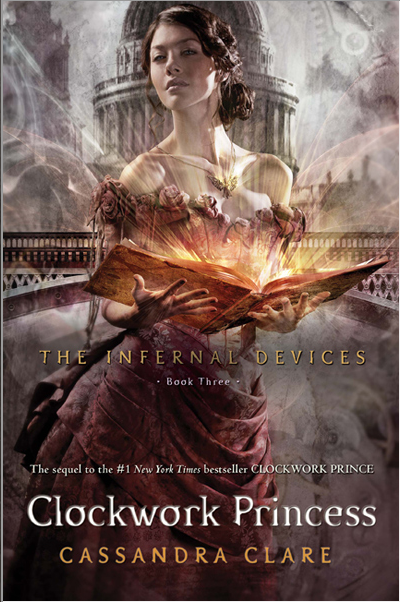 Clockwork Princess will be available for purchase on March 19, 2013- I'm both excited and nervous for that date, I really don't want this series to end! Who do you think Tessa will end up with? Do you think the twitter-reveal was as fun and unique as I thought it was!? And what do you think about the cover?! Let me know in the comments, and be sure to subscribe and follow me on twitter! Keep Reading! LOOOOL your "pets screen" is totally mutual! It really depends on how this one ends- for the Mortal Instruments, I felt like there was still enough for another trilogy.....Not so sure with the Infernal Devices....Have you heard about Clare's other shadowhunter series the Dark Artifices?! I want to let you know that I nominated you for the Versatile Blogger Award!